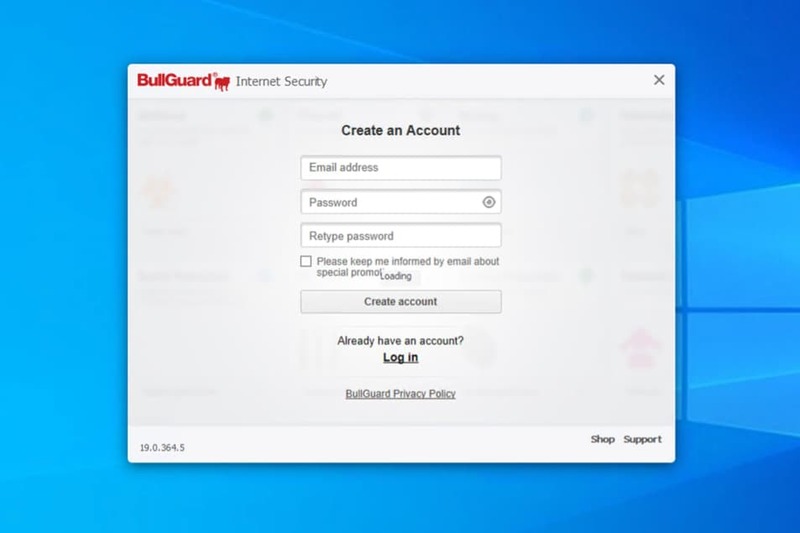 Get a free trial version of the integrated BullGuard Internet Security antivirus for Windows for 3 months. The solution includes protection against malware with behavioral blocking, firewall, backup and web protection against online threats. 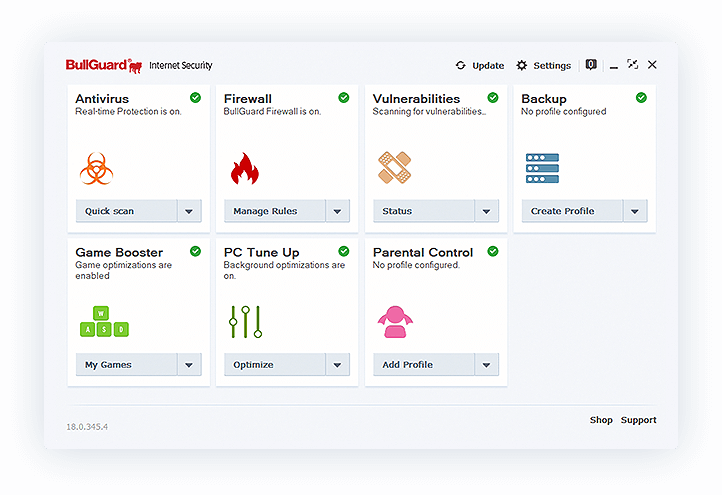 provides protection using all necessary protection components, including Anti-Virus, Anti-Spyware, personal firewall and spam filter - this way you protect your computer and important information from any Internet threats. 2. Install an antivirus by registering a new account during installation.